Sometimes it creeps up on you, and sometimes it hits you – but very few human beings today can claim that they have never felt low. And while the best thing to do always is to sort it out internally, we are simple creatures.A cup of ice-cream, a favourite song – something as simple as even this can lift our spirits. But the disadvantage of the cup of ice-cream and song is that you can’t eat ice-cream and listen to your favourite song everyday, unless you want to fall ill from all that sugar and ‘milk’ and break any electronic device that plays that song you now can’t stand. No. What would be nicer is something ambient. Something which is a big part of your life, yet is not intrusive to the senses. We are talking of course, about your walls. 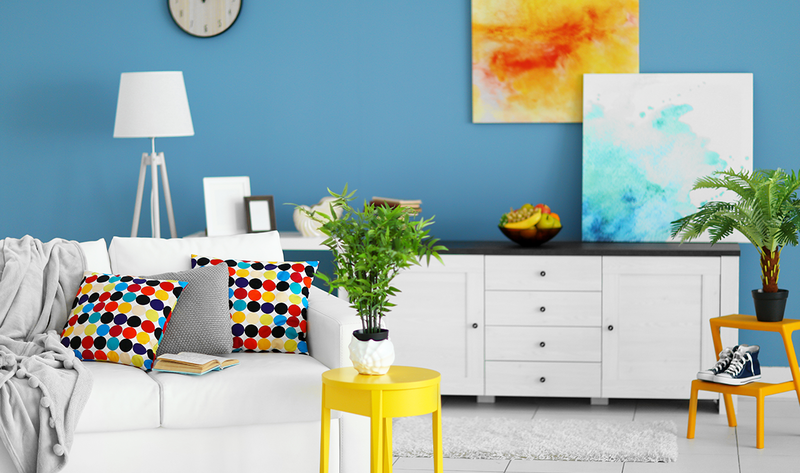 And that’s why we’re going to give you some quick painting ideas so that whenever you wake up from bed or are sitting by your table with a cup of coffee, if nothing else, your walls will be able to make you feel like you are in a good place. 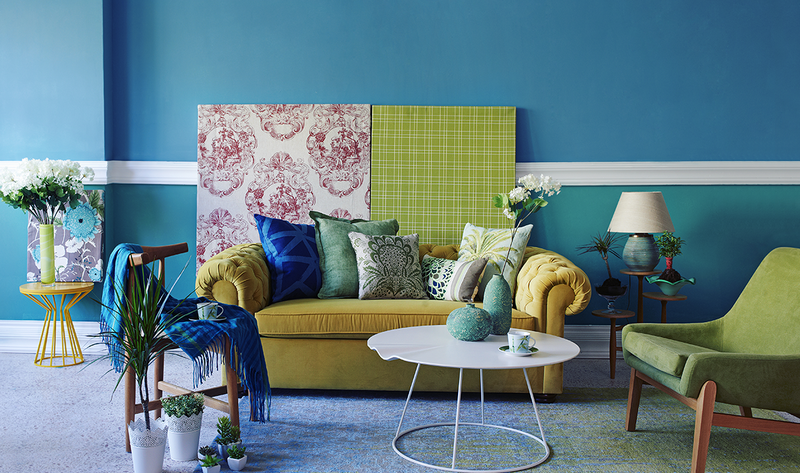 A blue hue – A colour which can create an aura of relaxation. Although its overuse in corporate spaces has associated it with a cold and formal vibe, it’s actually a very warm colour, especially for the bedroom. 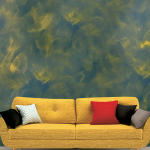 Yellow – Add some sunshine to your walls! This colour works great especially in making cramped areas, which normally don’t help the spirits, look bigger and more spacious. Your kitchen or dining room could do well with this shade. 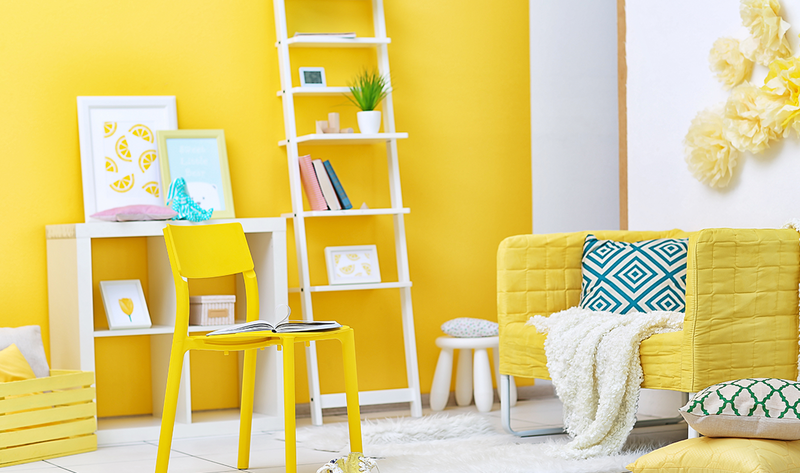 But be careful – too much yellow and you’ve got an eyesore. Respect the sunshine, and use it intelligently. 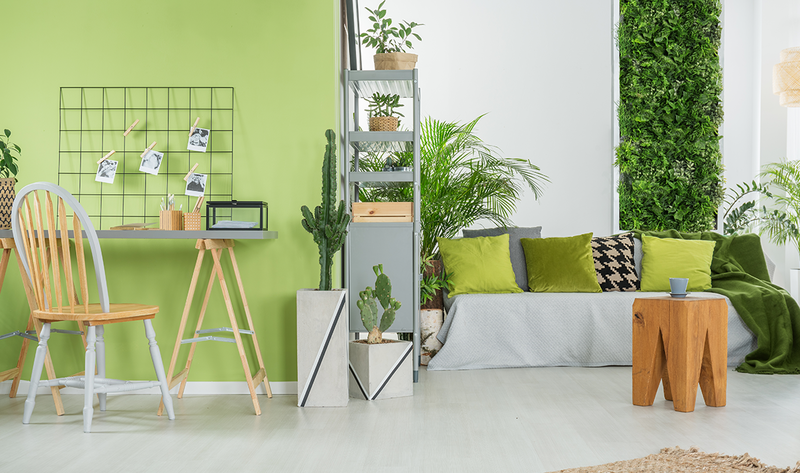 Green – For the same reason we want to look outside a window at the trees, green is a serene colour which probably makes us feel more in touch with nature. And on your walls, that’s the vibe it’s going to give. 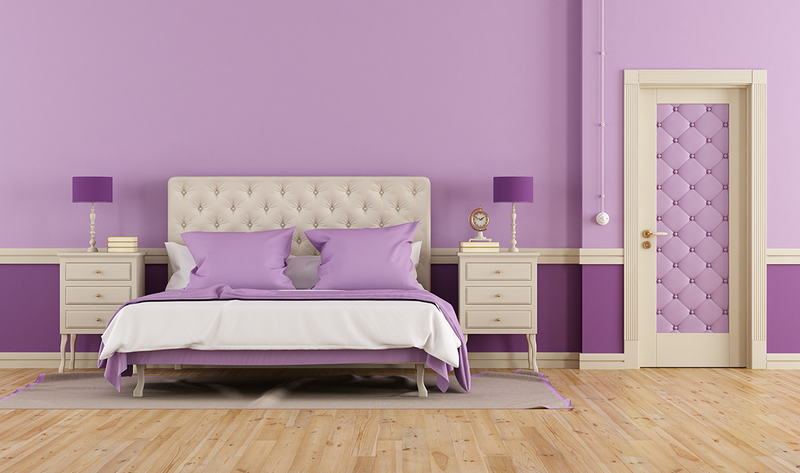 Purple – If a feminine and royal vibe is what gets you going, purple is the thing for you. But too much use of it isn’t good. Now when life gets you down, at least your walls won’t! Previous Post Looking for Bedroom Paint Colours? 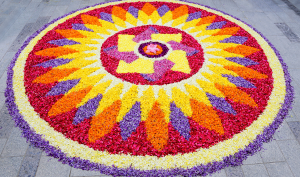 Next Post How Berger Silk Illusion Transformed A Space Into An Inspiring Yoga Studio!